The EUR/USD currency pair is moving according to the RoboForex forecast. 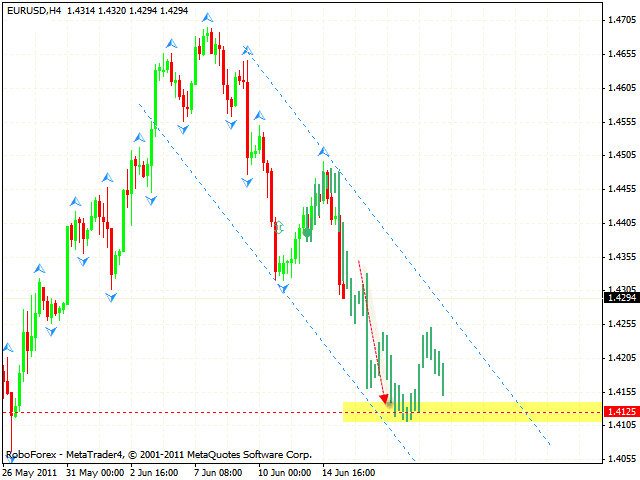 At the moment we should expect the pair to continue falling down with the target in the area of 1.4125. 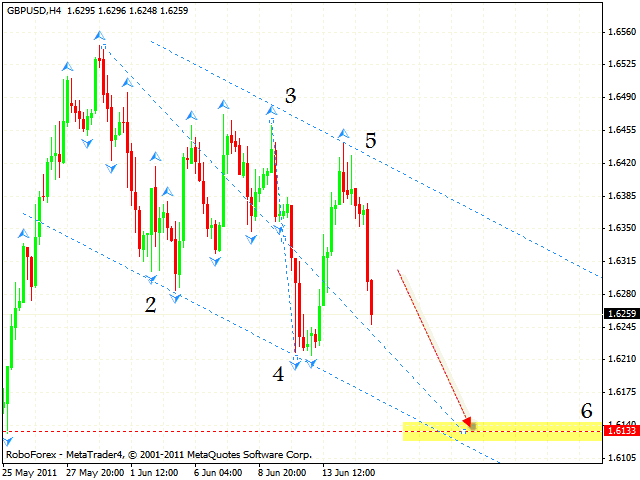 This area may be a starting point of the correction to the descending channel’s upper border. One can consider the tight stop sales. Pound is also moving inside the descending channel with the target in the area of 1.6133, one can consider selling the pair with the tight stop. If the price breaks the descending channel’s upper border and leaves it, this case scenario will be cancelled. At the daily chart of the NZD/USD currency pair we have “head & shoulders” reversal pattern forming with the final target in the area of 0.7904. The rising channel’s lower border is a support line here. 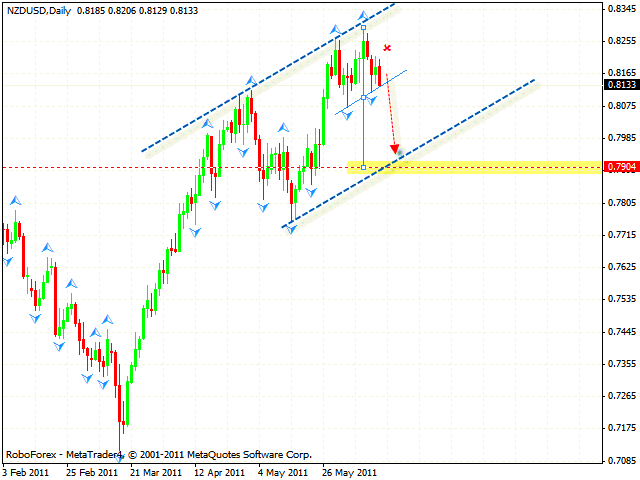 One can consider selling New Zealand Dollar with the stop above 0.8215. 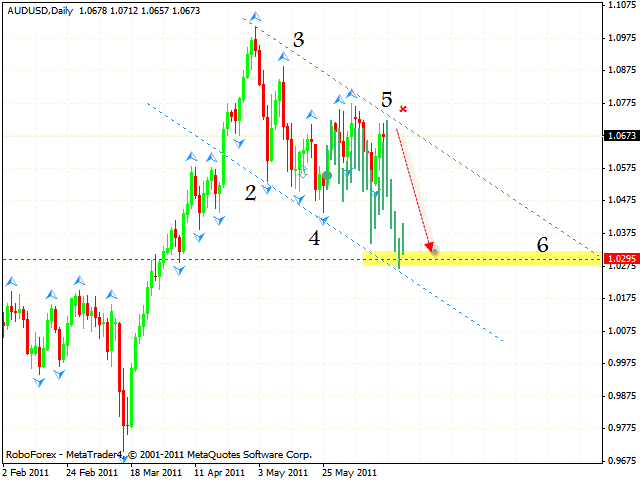 Australian Dollar keeps moving inside the daily descending pattern with the final target in the area of 1.0295. Currently the price is testing the channel’s upper border, one can consider selling the AUD/USD currency pair with the tight stop. But if the price breaks the channel’s border and leaves it, this case scenario will be cancelled. At the moment one can try to sell GOLD with the tight stop. 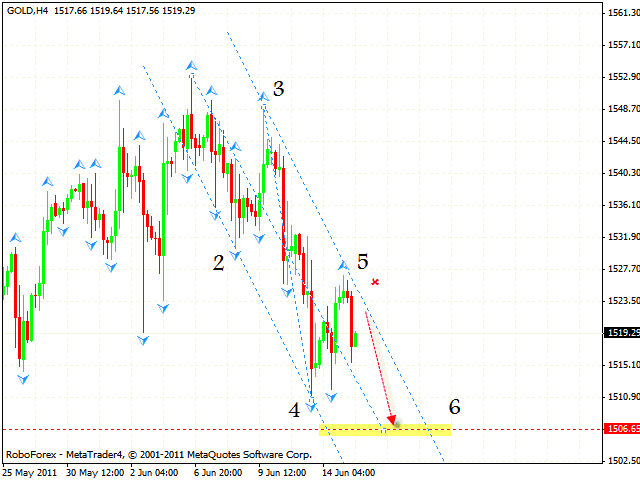 The instrument is moving inside the descending pattern with the target in the area of 1506, the stop must be above 1525. But if the price breaks the channel’s upper border and leaves it, this case scenario will be cancelled.